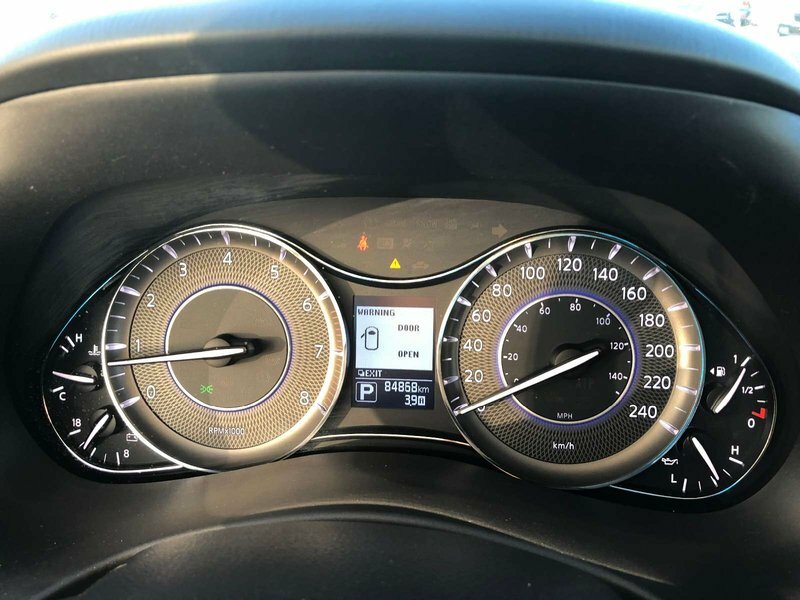 Only 84,899KM's! 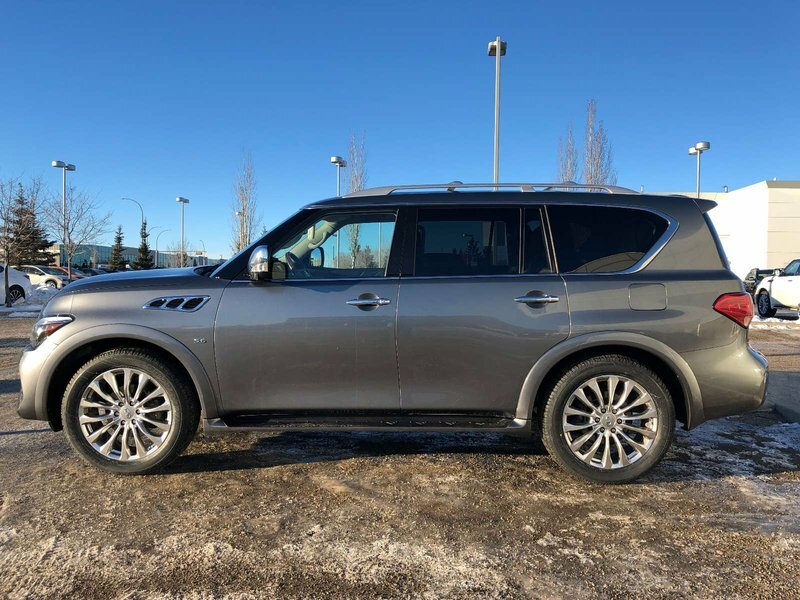 Local Alberta Vehicle! 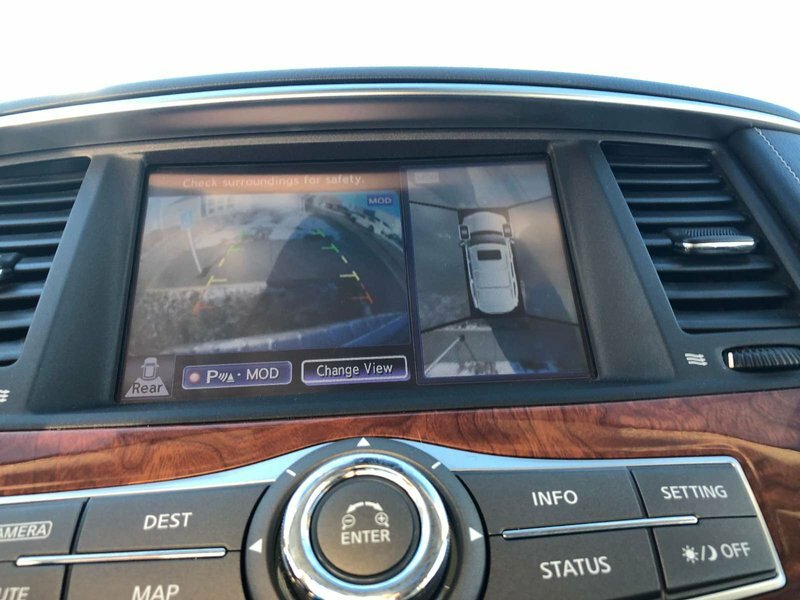 TECHNOLOGY PACKAGE, DVD, Adaptive Cruise Control, Blind Spot! 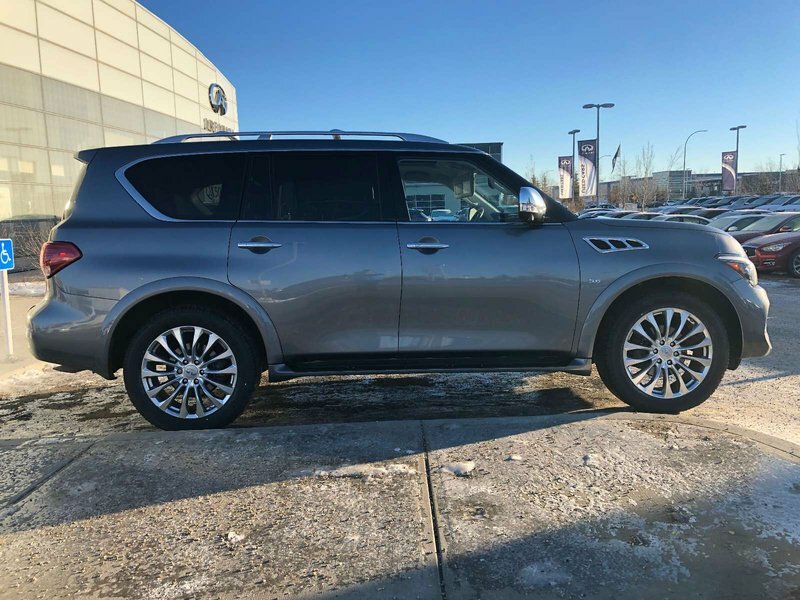 We purchased this vehicle from an Edmonton dealership that focuses more on selling new vehicles. 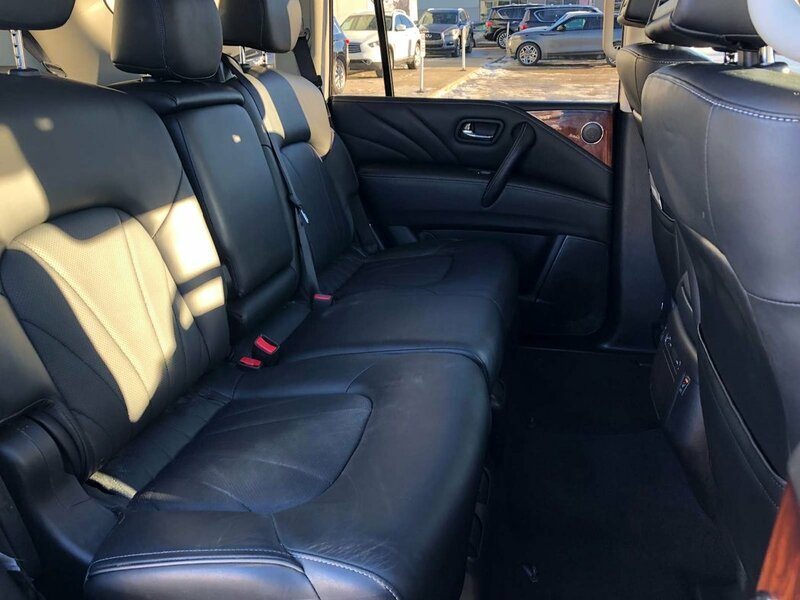 We coudlnt pass on an opportunity like this as the vehicle is in great condition, inside and outside! 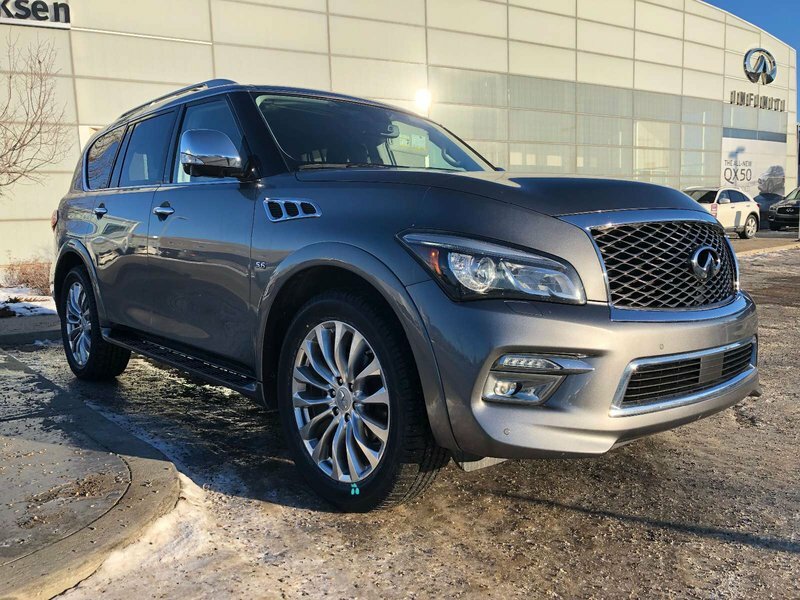 This 2015 QX80 Technology package, in Graphite Shadow, is a great family vehicle and amazing on a roadtrip! 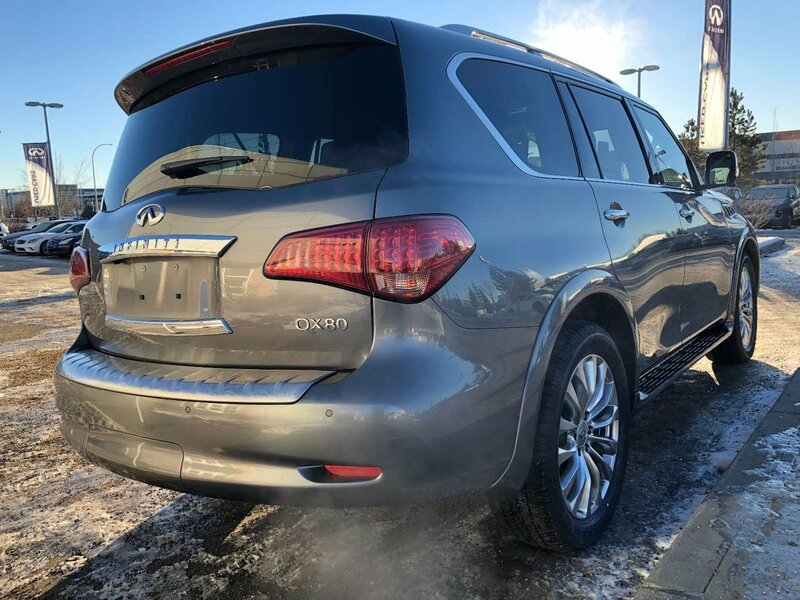 We have put this QX80 through a multi-point, used vehicle safety inspection to ensure driving quality. 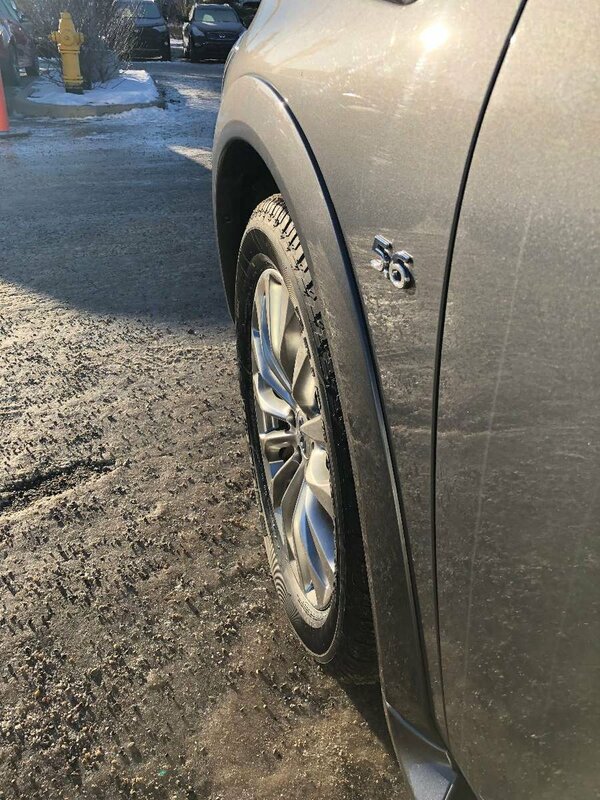 Our certified technicians replaced 4 22" tires, oil/filter and topped up the fluids. 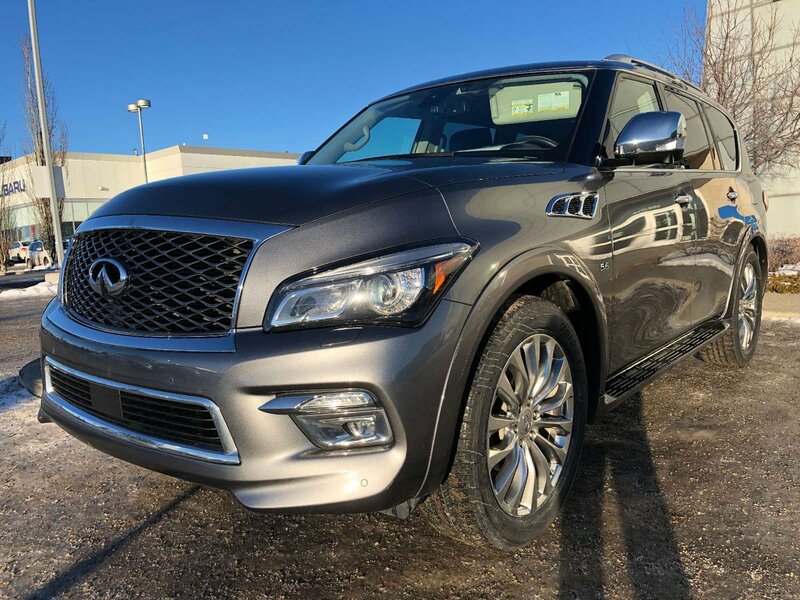 This QX80 is more than ready to meet its next proud owners! 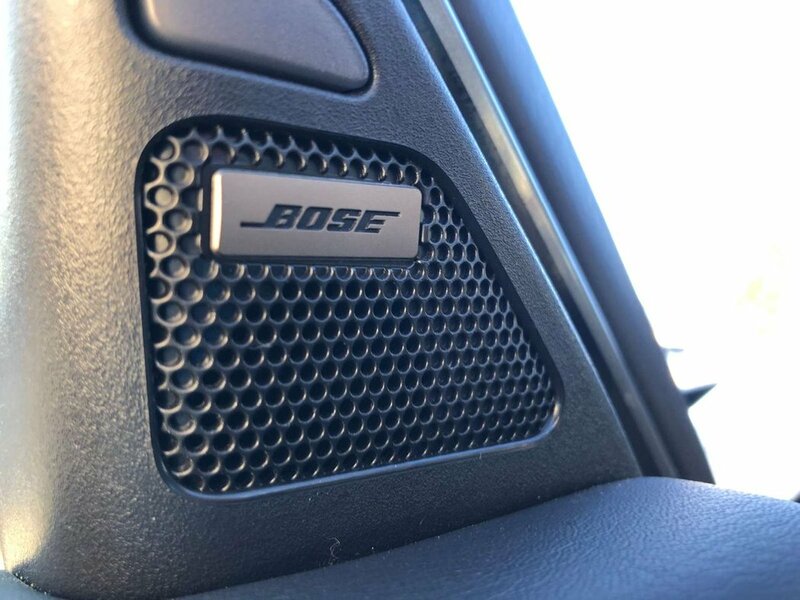 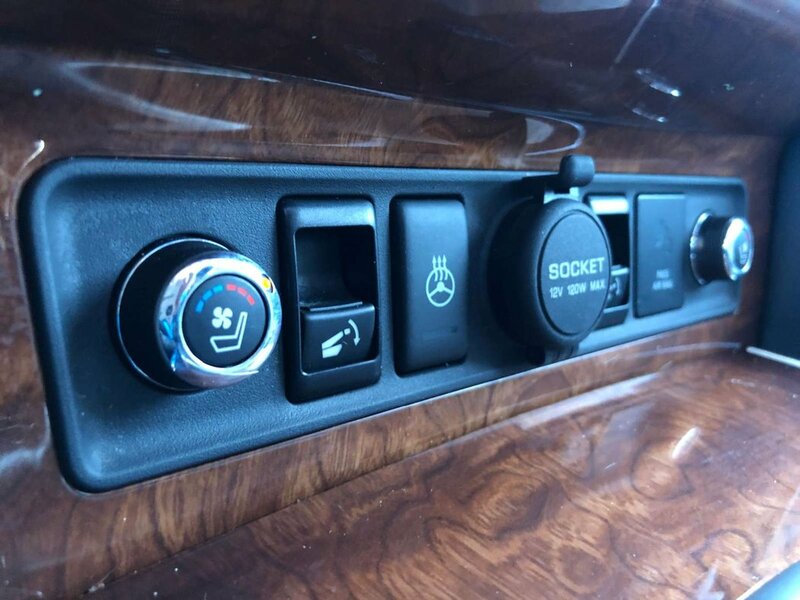 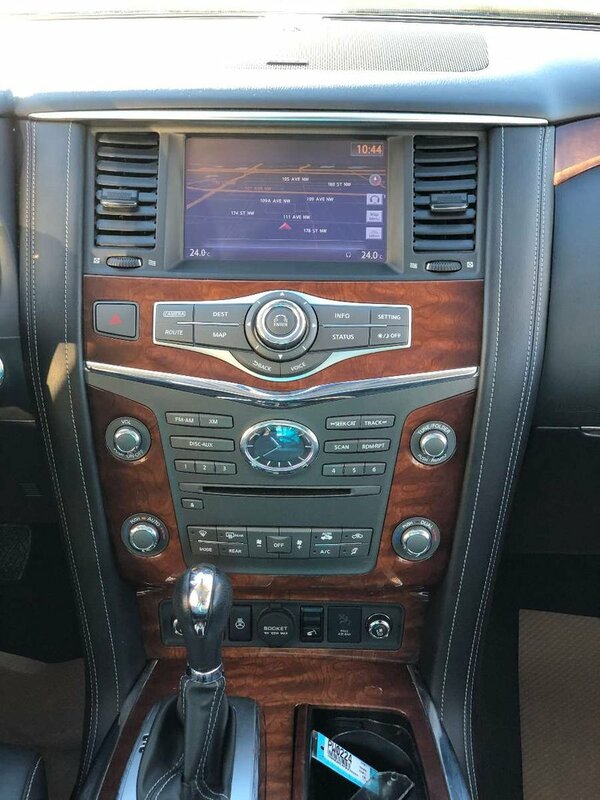 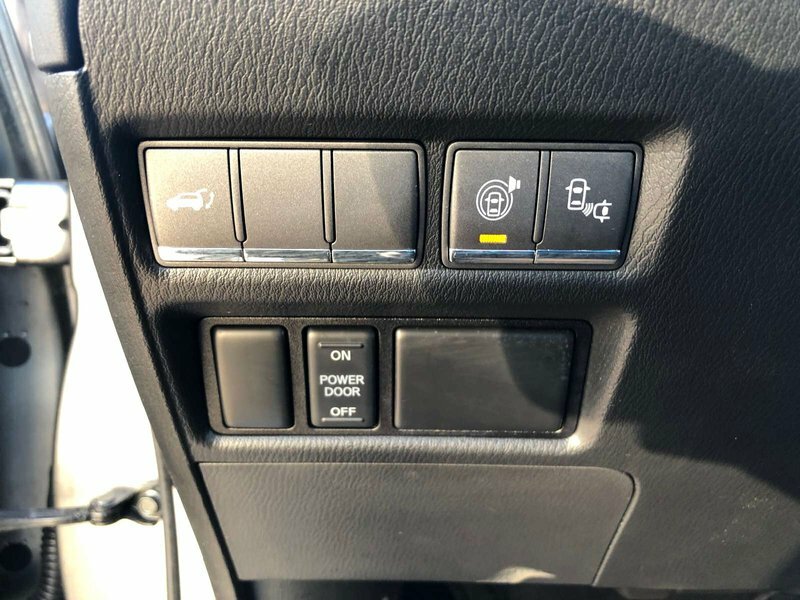 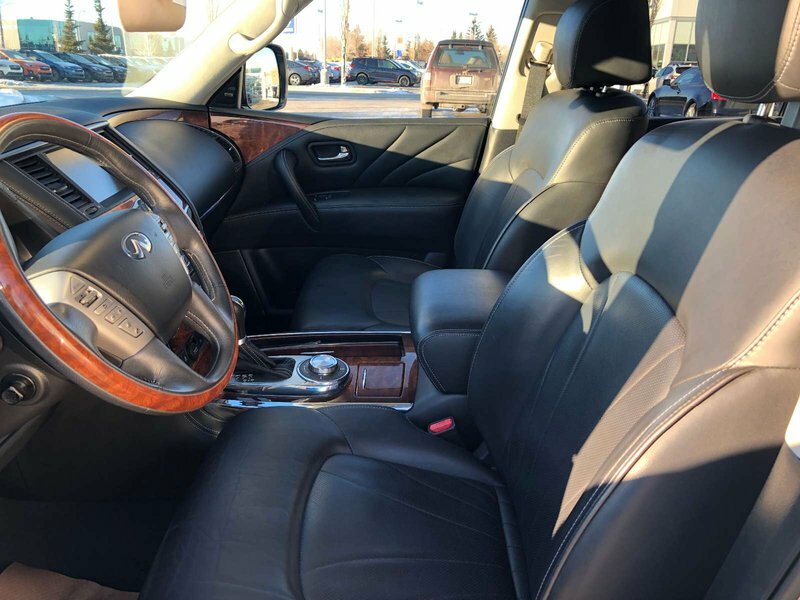 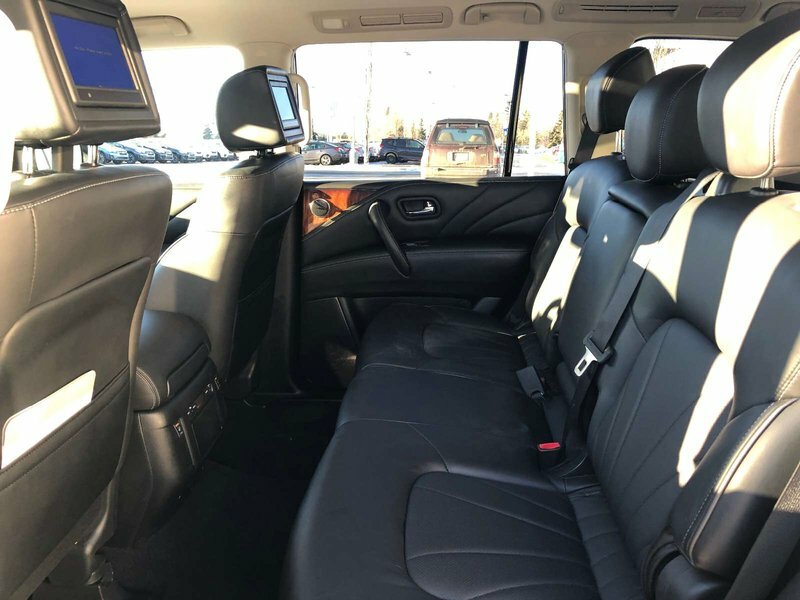 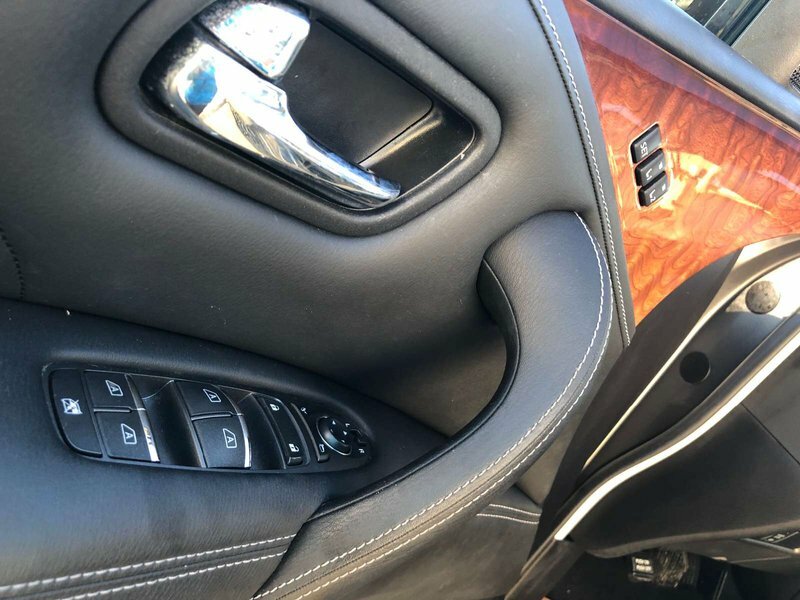 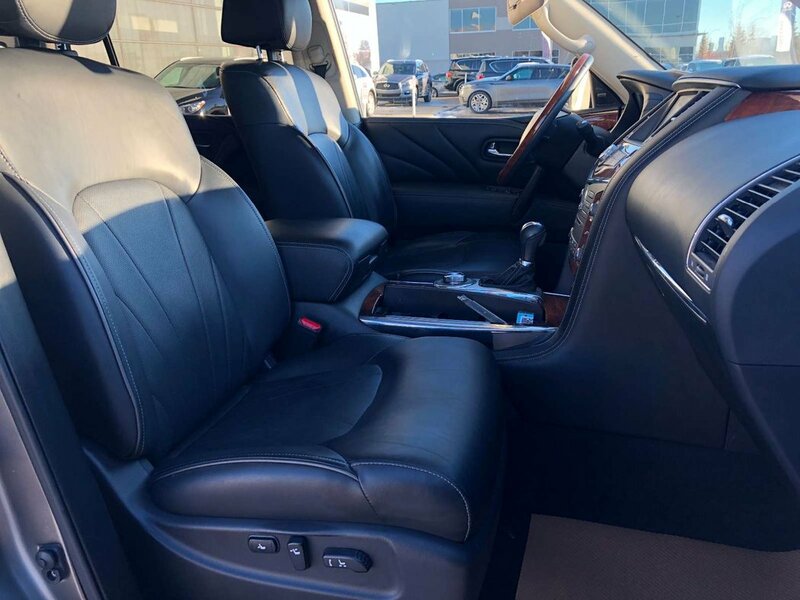 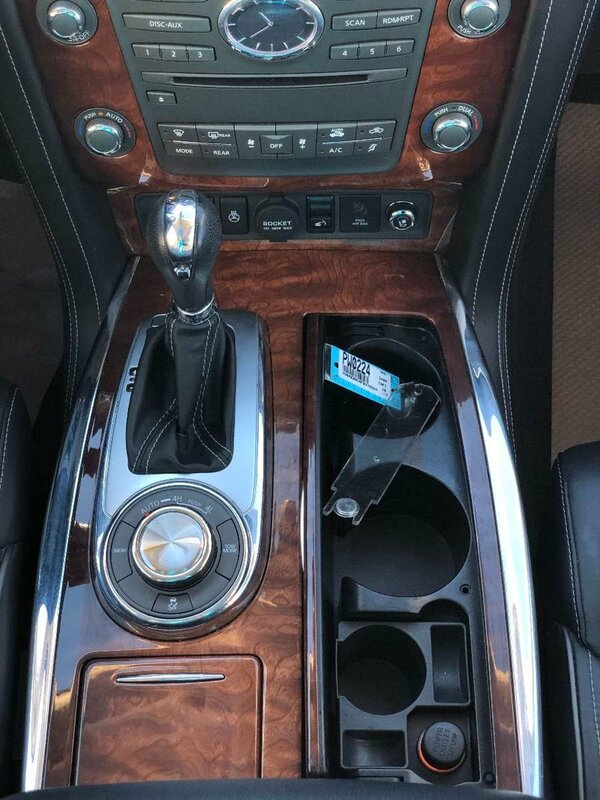 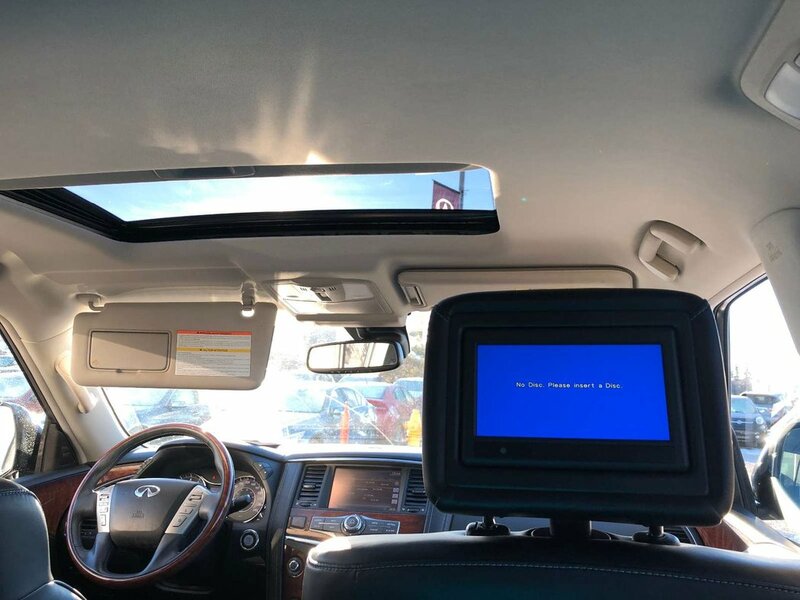 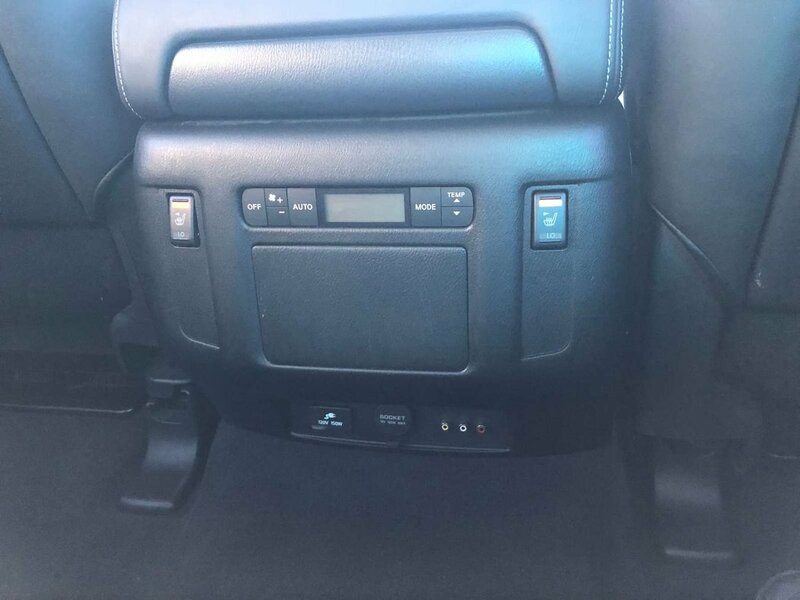 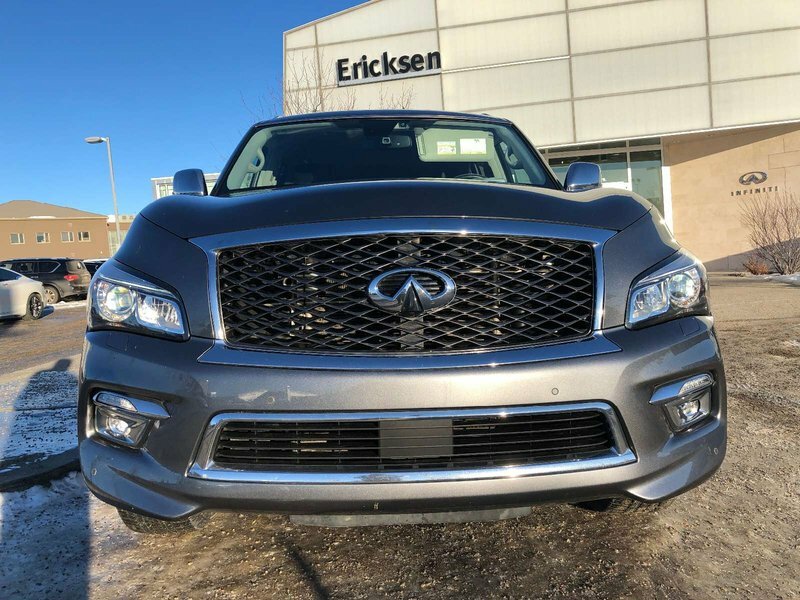 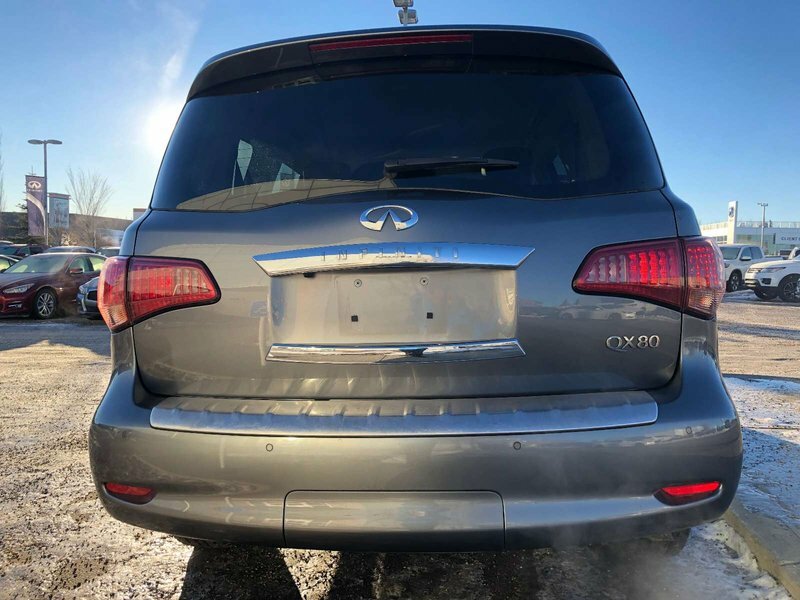 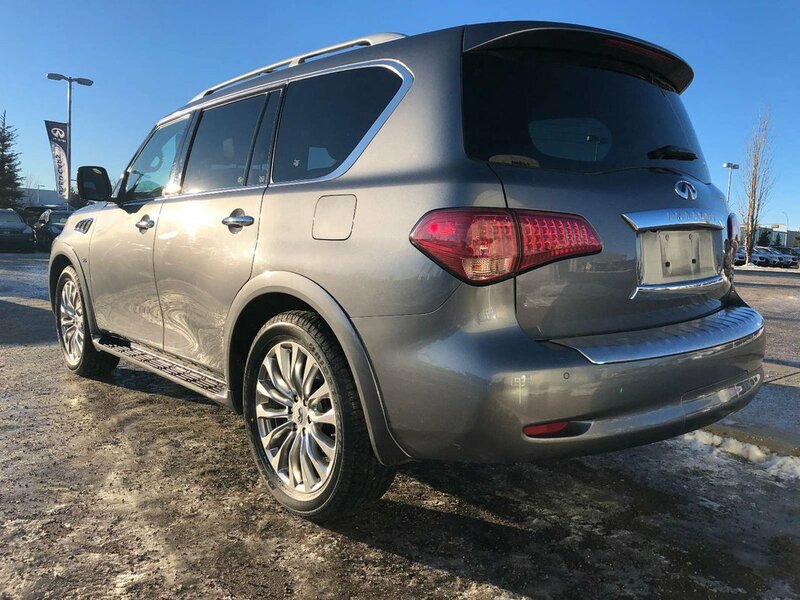 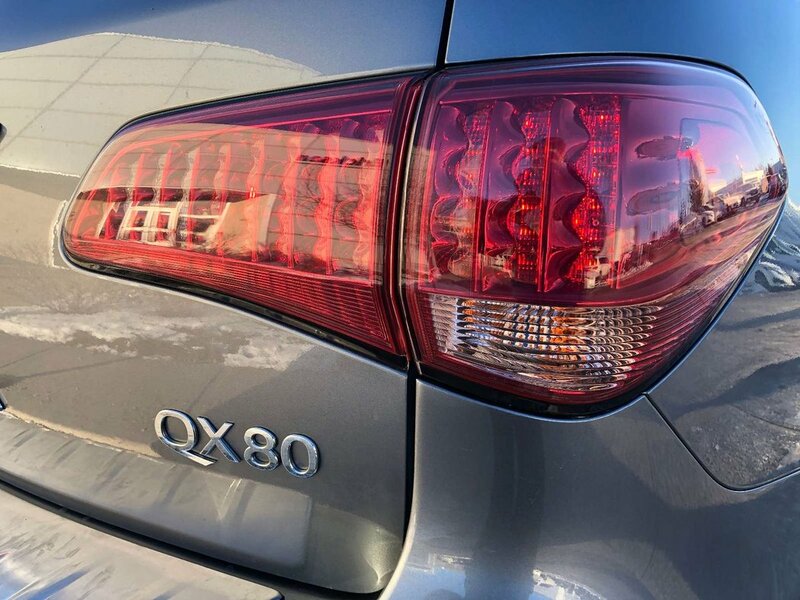 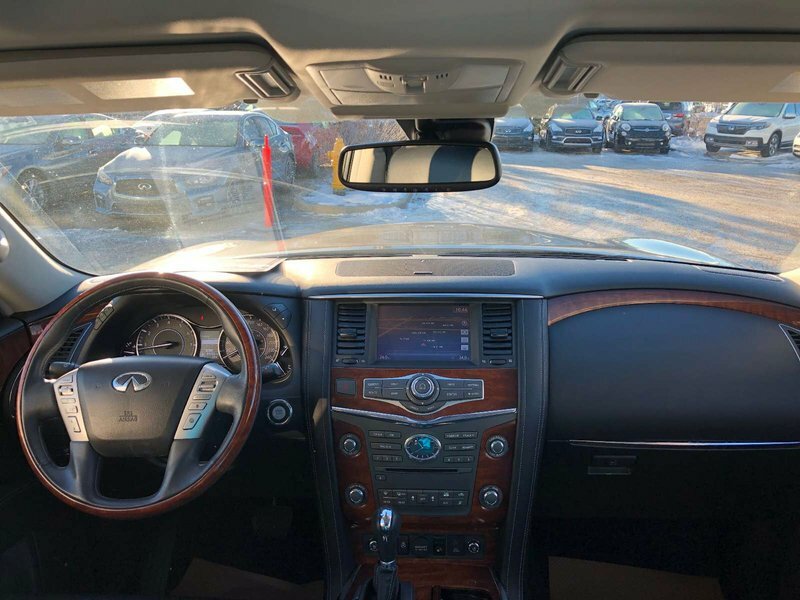 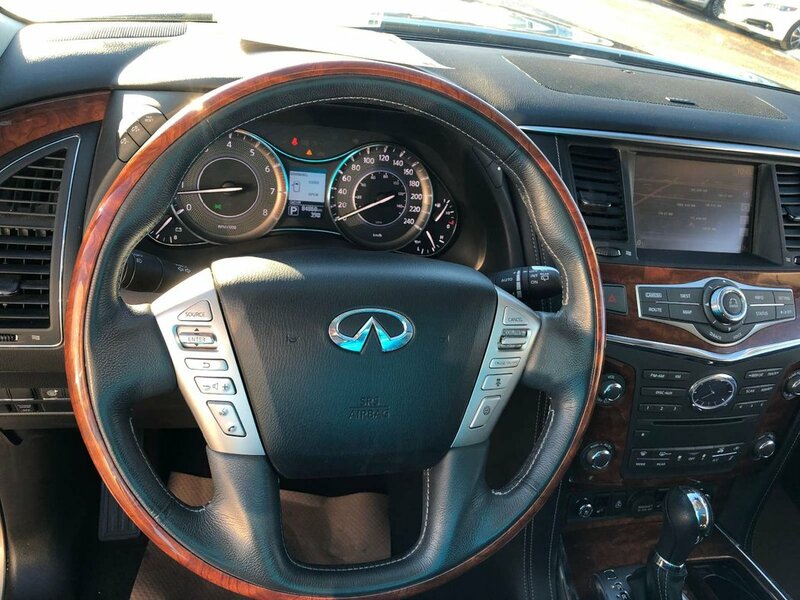 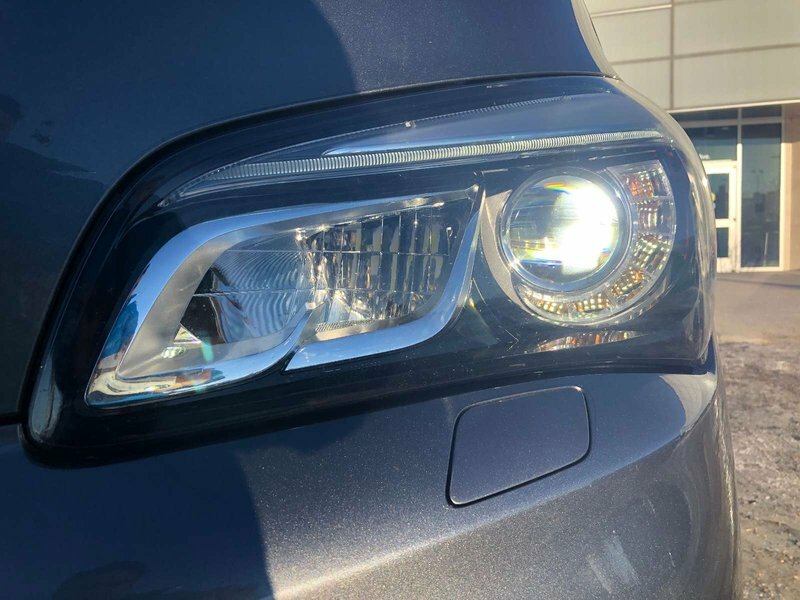 Some of the features of the 2015 QX80 Technology include adaptive cruise control, dvd entertainment system, blind spot, Bose audio, leather seats, navigation, 360 camera and much more. 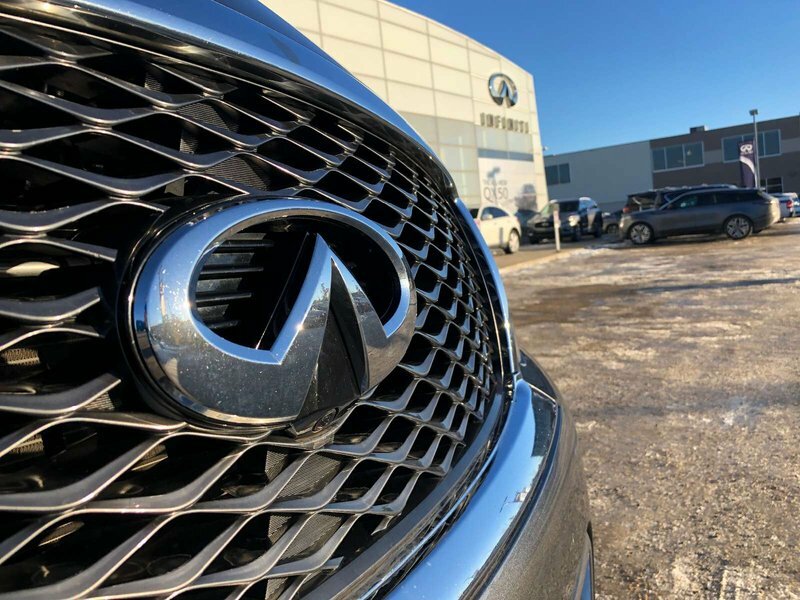 Call or text us to book your test drive today at 587 800 4277!